On a clear day you can see the Gila National Forest in New Mexico from here! You are looking at the San Pedro River Valley. The San Pedro River flows north to the Gila River, which ultimately meets the Colorado River and heads south to Mexico and the Gulf of California. The river supports riparian vegetation that provides wildlife habitat and recreation opportunities. Six million years ago there was no San Pedro River and this basin had no outlet, so a large lake formed. 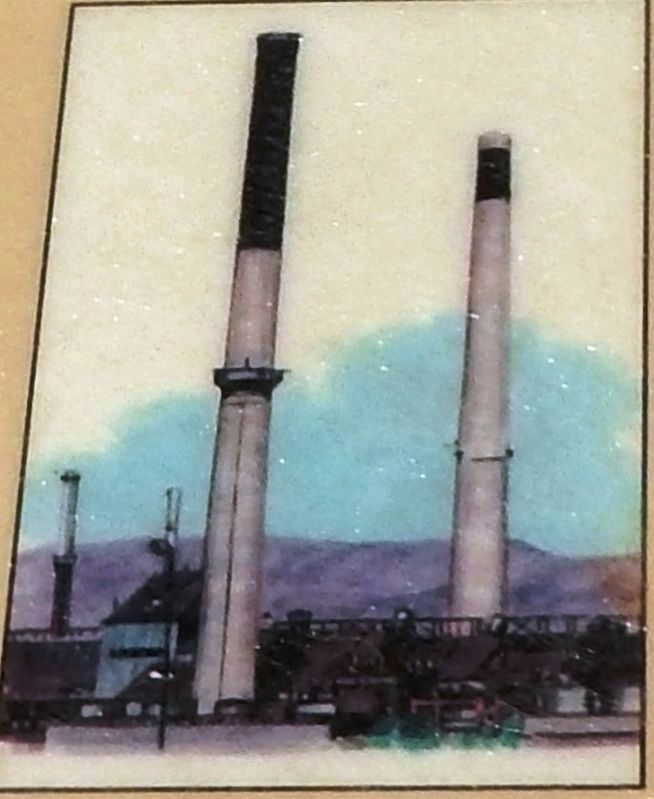 Evaporation of the lake’s salty waters resulted in a concentration of minerals such as gypsum, which is now mined to make sheetrock for the building industry. The Galiuro Mountains, visible on the other side of the San Pedro valley, consist almost entirely of volcanic rocks that were produced by large volcanic eruptions between 20 and 30 million years ago. This was a period of great geologic unrest in southern Arizona, and the rocks that formed the Santa Catalina Mountains were uplifted from great depths at this time. The large copper deposits mined below in the valley are about 67 million years old and are related to intrusions of molten rock (magma). Most of the copper produced by mining is used for electric wires in buildings and vehicles. A typical automobile, like the one you might have driven up the mountain, contains about fifty pounds of copper. This smelter uses technology designed to minimize impacts on the environment. It recovers 99% of the sulfur produced by smelting, and thereby helps keep the air clean. The large rock you see behind you is called Barnum Rock, named after Willis E. Barnum, who became a Boy Scout leader in Tucson in 1916. During the early 1920s it was customary for honor scouts at Camp Lawton to be stationed on top of Barnum Rock to help the Forest Service as fire lookouts. Funding for this sign was provided by the Tucson Section, Society for Mining, Metallurgy, and Exploration; Arizona Geological Society; and the Mining Foundation of the Southwest. Location. 32° 24.021′ N, 110° 41.386′ W. Marker is near Tucson, Arizona, in Pima County. Marker is on Mt. Lemmon Highway (at milepost 17.4), 18 miles north of East Snyder Road, on the right when traveling north. Touch for map. 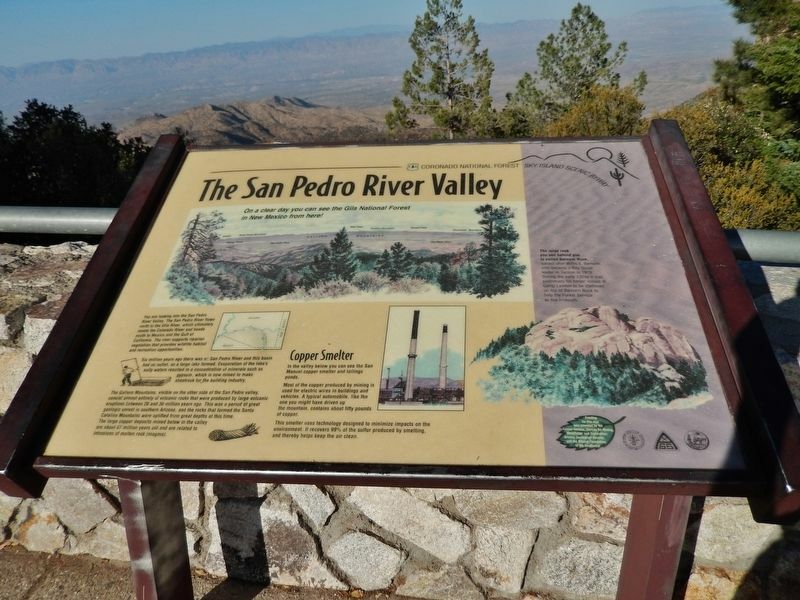 Marker is located in a pull-out on the east side of the highway, at the San Pedro Vista Point. Marker is in this post office area: Tucson AZ 85750, United States of America. Touch for directions. as the crow flies. Honorable Frank Harris Hitchcock (approx. 2.7 miles away); Catalina Federal Honor Camp (approx. 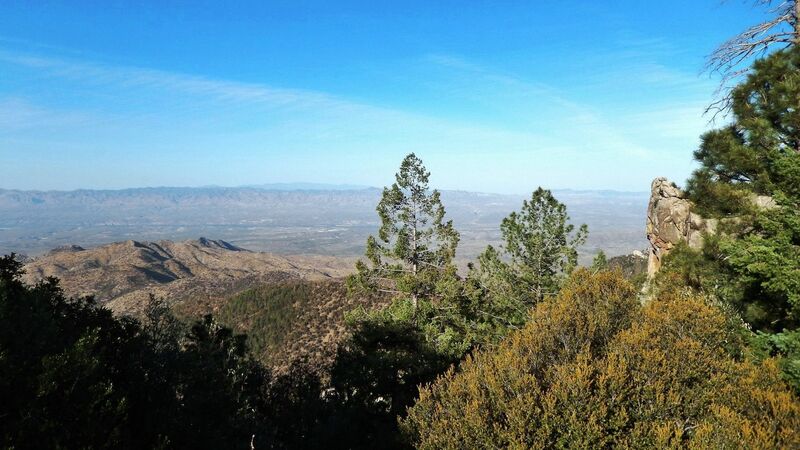 4½ miles away); Lemmon Rock Lookout Tower (approx. 6.3 miles away); Agua Caliente Ranch and Hot Springs (approx. 8.6 miles away); Officer Erik Hite (approx. 11½ miles away); La Casa Del High Jinks (approx. 12.2 miles away); American Flag (approx. 12.6 miles away); De Grazia Gallery In the Sun (approx. 13 miles away). Touch for a list and map of all markers in Tucson. More. 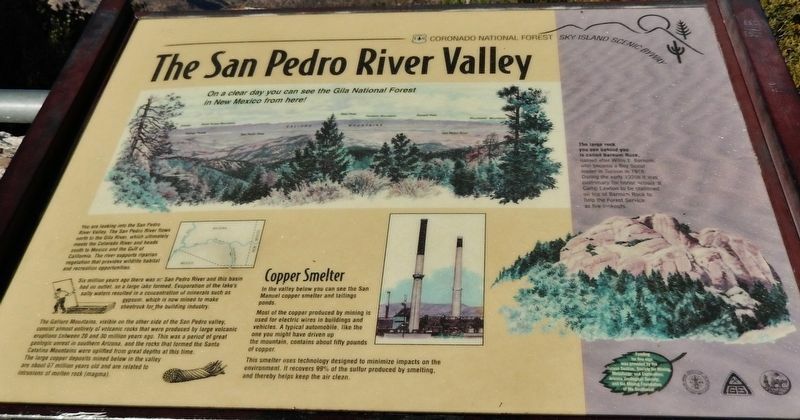 Search the internet for The San Pedro River Valley. Credits. This page was last revised on March 19, 2019. This page originally submitted on March 19, 2019, by Cosmos Mariner of Cape Canaveral, Florida. This page has been viewed 41 times since then. Photos: 1, 2, 3, 4. submitted on March 19, 2019, by Cosmos Mariner of Cape Canaveral, Florida.